Remington is one of the most recognized and respected names in the shooting world. 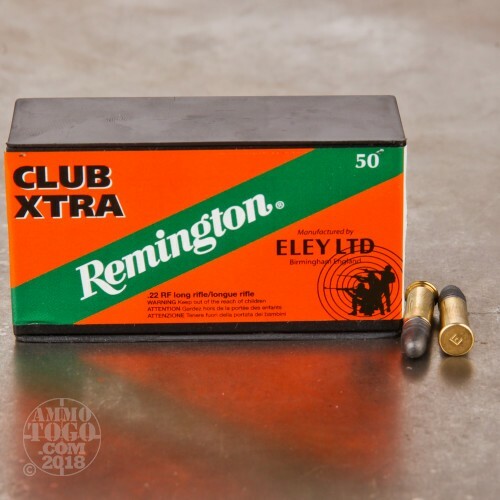 When it comes to serious competition and quality rimfire ammunition, there is only one company worthy of sharing a label with the legendary Remington name. Eley LTD has a hard-earned reputation for engineering the most accurate and reliable rimfire ammunition in the world. Founded in 1820, Eley LTD is located in London, England. These two names have teamed up to bring you this accurate, high-performance target ammunition. 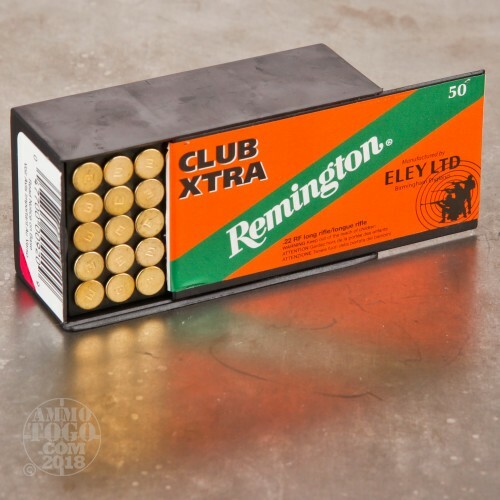 This package contains 50 rounds of Remington Eley Club Xtra .22LR ammunition. Each cartridge is loaded with a 40 grain graphite-coated antimony lead alloy projectile. 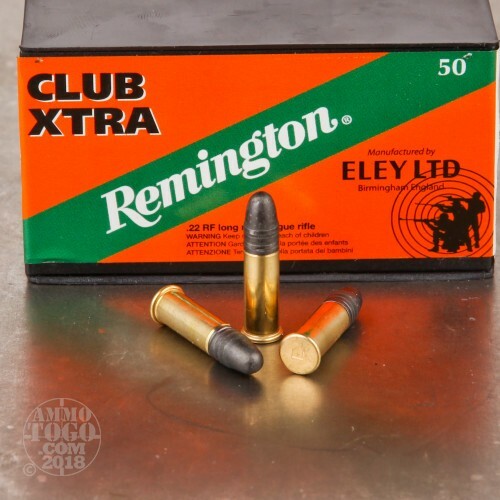 Designed for serious shooting up to 50 meters, this ammo is an excellent choice for serious rimfire hunters and club competitors. 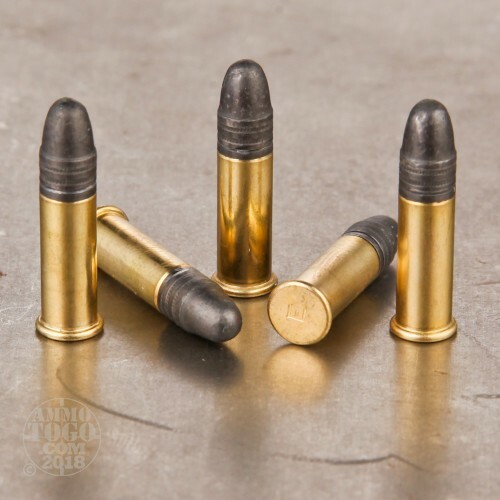 This ammunition is factory fresh, non-corrosive, brass cased, and boxer primed. Each round leaves the muzzle at a velocity of 1085 feet per second with 105 foot pounds of muzzle energy.